Book a Trieste to Pula ferry today with AFerry. Just use the form above and choose the route that you want. If nothing appears automatically, start typing Trieste. You can also type the country or even the name of the ferry company you are interested in. When you have the route that you want, choose single or return and all the other options you want. If there is more than one ferry company operating on the Trieste Pula route we will show you all the ferry companies, to make sure you get our best price. 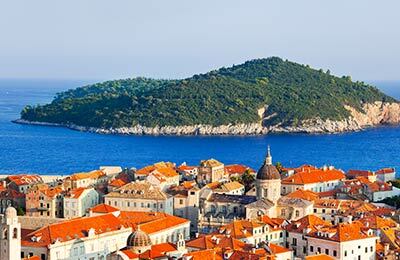 We'll also show you any routes similar to Trieste to Pula so you have the complete picture when making your booking. And of course you'll also see a range of times just in case it's a bit cheaper earlier or later than your preferred booking time. Once you've chosen your perfect sailing and have made your booking we'll email you your booking confirmation for your Trieste to Pula ferry. The majority of tickets have instant confirmation. Below you can see the ferry company or companies that sail on the Trieste to Pula route and the journey times. You might also see some recent prices our customers have found. The best way to find a cheap Trieste to Pula ferry though is to use the form above today to see all of our possible choices. With AFerry we always give you our best prices for ferries from Trieste to Pula. No matter which page you book from we always include all our special offers. And there is no need to look for a discount code. If we have an offer available, your ferry price will include the reduction or offer. There's no need to look at other websites. If you're not sure if the Trieste to Pula route is right for you or you can't decide between ferry companies, if there is more than one, you might also find it useful to read any reviews we have available. We ask all our customers to send us reviews for Trieste to Pula ferries. Remember though, that the earlier you book, the cheaper prices normally are. So don't spend too long deciding! Trieste to Pula is a popular route, so we advise you to book as soon as possible. There is plenty to see and do in Trieste, largely due to the city's historic and colourful past. The castles of Miramare and San Giusto are well worth a visit; the castle of Miramare is home to beautiful gardens and ponds and the castle of San Giusto houses a museum of weapons. Trieste also has many fine churches, such as the cathedral of San Giusto, the basilica of San Silvestro and the temple of Holy Trinity and St. Spiridio. Trieste is also home to some interesting archaeological remains and sites; the Arch of Riccardo dates from 33 B.C. and can be seen in the Piazzetta Barbacan in the city's old town. The Roman theatre, situated at the foot of the San Giusto hill is worth a visit; you can see the statues that used to stand in the theatre at the Town Museum. Trieste is well connected with the rest of Italy and beyond; the airport provides daily departures to Rome, Milan and Vienna, and the city's rail station provides excellent rail links with some of the larger Italian cities. The city historically concentrated on winemaking, fishing and ship building for its economy and many remnants of these industries are still visible. It is worth taking time out to look around the city and its many beautiful historic buildings. Pula, as well as being a charming tourist destination in its own right - famous for the Roman amphitheatre which dates back 1st century B.C., is also well connected to the rest of the country. The port itself is located close to the city centre and close to the major road routes of the A9 route 66 meaning that places like Porec, Novigrad and Rijeka are easily accessible. 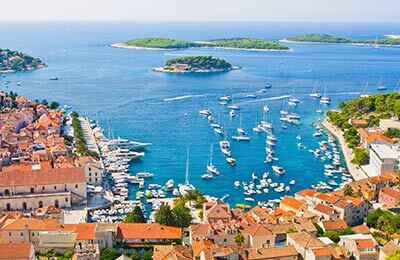 With a history dating back over 3,000 years, Pula is a historic way to enter and leave the country of Croatia. Ferries from Pula go to Venice in Italy and can be booked online through AFerry.